Peacock Alley has a long tradition of making the bedroom a place that speaks comfort, peace and happiness with our luxury bedding products. Today, the Peacock Alley bed and bath line possesses the ageless appeal of natural fibers and tones. The luxury bedding exudes a sense of indulgence, a sense of chic style and most of all, a place of comfort. From chic luster to earthy texture, the Peacock Alley story speaks to anyone hoping to express their sense of self in their surroundings. 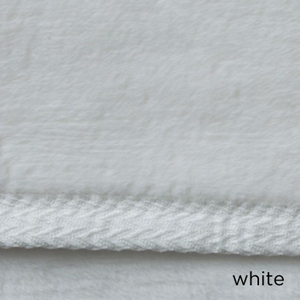 The All Seasons Blanket is soft to the touch like no other, you'll think it's cashmere. 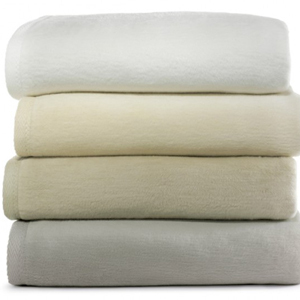 Densely woven from 100% Egyptian cotton producing pure plushness to delight your senses. made from 100% Egyptioan cotton known for its luxurious texture and feel. There is a size for everyone in your family....no one should be without one! Available in White, Natural, Linen, Flint. Blanket can shrink between 4 - 10% upon washing.